Henry Holden from Glan Conwy passed his driving test on the first attempt at Bangor today 7th January 2018. Henry had a fantastic drive and passed with just 1 minor fault. Henry passed after a short intensive course of driving lessons around Glan Conwy, Llandudno and Bangor. Our intensive driving course is a great way to pass your driving test fast. 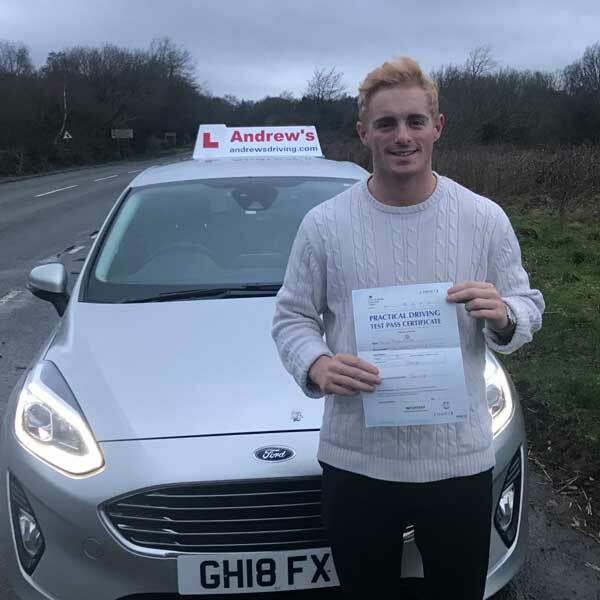 Andrew’s Driving School is now pleased to be able to offer intensive courses of driving lessons where you can pass your driving test in a week. These intensive courses are designed so that you are able to pass your driving test in a short period of time. So if you would like to pass your test quickly, maybe you need your licence for a job or something similar, then a semi intensive course is probably the best option for you. As well as a full on intensive course or a crash course as they are sometimes called we also do a semi intensive course which is conducted over a few weeks. Instuctorinstructor.co.uk The best Independent Ordit driving Instructor training in the UK.